It rained last night and a lovely dense fog sat on the island all morning. When I got home from work I realized a screen had fallen from my window so my room was full of flies and mosquitos. Great. I went to tidy up and get a fly swatter. Then I saw the new arrival. An unwanted roommate. 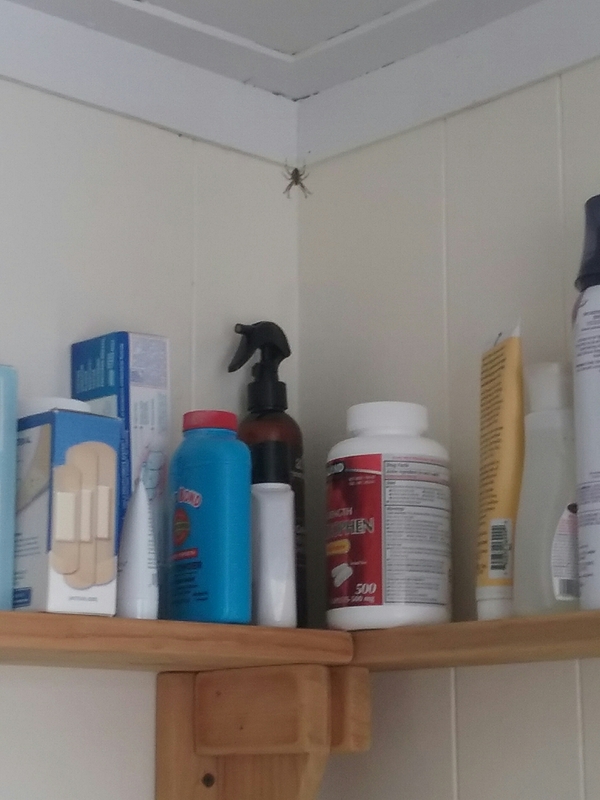 Now a spider is a valuable asset in biting black fly and mosquito country, but I severely dislike them. Like a lot. I’ve been pinned in terror to the other side of my room. My housemate won’t even come in, it’s so creepy. I swear I can hear it whispering my name. Nope. I have two options now. Move, or sleep with one eye open. Moving seems easier. I didn’t like any of this stuff anyhow. Ah, the beloved day off. Time away from the hustle and bustle, the quickness and slowness, the grind. August. The tourist season. Doubles and triples every day. Then comes that one sacred day a week. That chance to escape (though we’re literally trapped on an island) and the chance to be free. It is my time for peace and quiet. I remember the silence when I first arrived on the island and I yearn for it again. I look longingly across the rolling ocean and dream of what may be out there, deep underneath. The shipwrecks, the fish, the rocky sea floor nearly 300 feet deep. I hope to see a whale. And a seal. And a cormorant catch a fish. I pick up my bag, trudge back to the village. My work for the day is done. My mind happily turned down. My ears ignore the voices. It is time to taunt the gulls and ducks by eating a lobster on the beach in front of them. Thursday I was free until 4pm. It was lovely. I filled up the backpack with water and snacks and a fishing pole and romped the island for hours. I like learning more about the flora and fauna around me, but honestly what interests me the most is the geology. Such a steep rock in the deep ocean atop of which is an entire little habitat. It’s beautiful. Anyhow, I ended the romp at my favorite rock and had a gummy bears and cheese picnic before heading in to work. 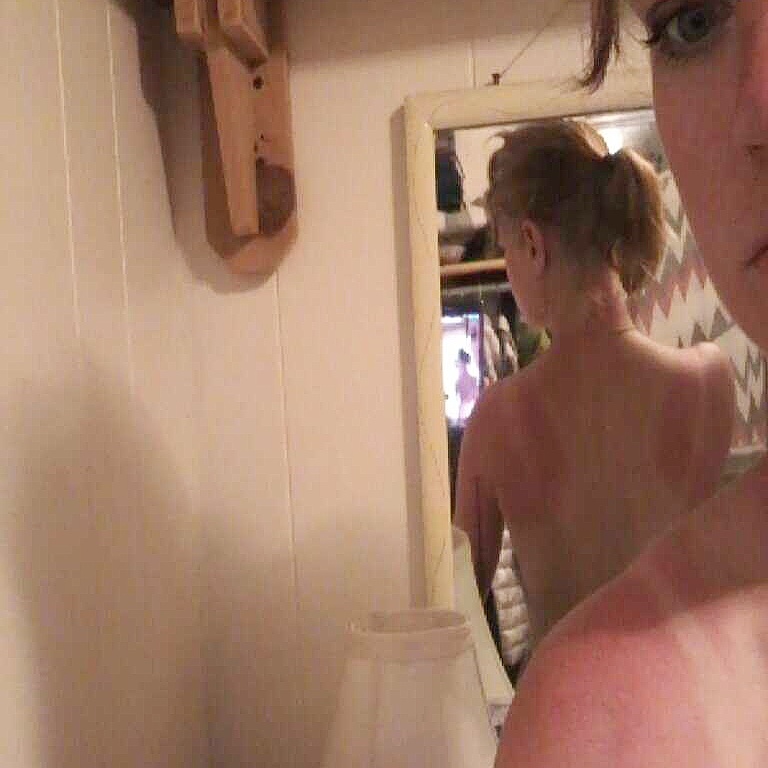 I didn’t realize I had sweated off all my sunscreen. And now I join the lobsters in this lobsterland. Life on the island is slow. Like, truly slow. I’ve never experienced anything like it. Even with all the work that is done daily to keep us somewhat sustainable and self sufficient, life slows down. I have a week in each day, months in my weeks. Time changes and bends and stirs. And as I mix in with this pace, I stir the pot just to watch it change, watch it adapt, like skipping rocks on a placid lake to pass the time and boredom. The softness of the place (the flowers, the ferns, the moss) fights back with cliffs and ocean and danger. I love it. I hike through the crazy wonderland forest, 3 ecosystems dancing together on the ocean, I sit atop cliffs and look for whales, I sunbathe on rocks and wave to the boats. Yesterday I had a breakfast shift and then the whole day off. I day drank and rode the boat around the island, soaking in too much sun and not enough water and loving every minute of it. I shared my cheeses and capers and crackers, wishing someone else loved kippered herring like it do, because that’s not exactly something you can just eat in front of someone who is a vegetarian. I took a nap. I read a short story. I went to the fish house and ate fresh mussels for dinner with friends. They tasted like the ocean. I hiked to the lighthouse and fell asleep watching stars. I was glowing and happy and refreshed at breakfast this morning. Because you can’t make or set a schedule out here. You have to let your time bend as well. 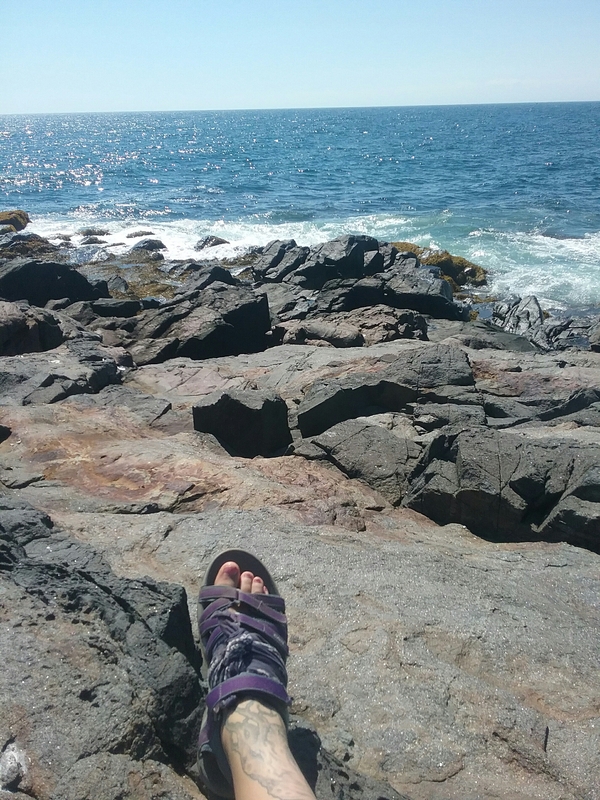 You become part of the crazy slowness that is Monhegan Island. 12 miles to shore and somehow an incredibly long journey away from society. Now if you’ll excuse me, I have so much to do. A light in the woods, a plate in the kitchen, a door that unlocks itself. I’ll start at the other night. Got off work relatively early for a dinner shift. The moon was out and bright and I decided to go on a moonlight hike with a friend. We ended up in the middle of the Cathedral Woods instead of by the shore. The moon was gone, swallowed up by the towering pine trees. We were in an animated discussion over something or other and sat down to debate. I took off my coat to sit on. After a while I caught a chill, I thought we should keep moving to warm up. Debate continued instead. Off in the woods I saw a light. For a moment I thought someone else was out for a stroll. I turned back to talk. About ten minutes later I looked back and the light was still there. More defined. Taking shape. I kept one eye out. Ten minutes after that it was closer. This is when I pointed it out to my companion. We watched, and ever so slightly, ever so slowly, it was approaching, its shape defining a bit more each time. It was somewhat like a snowman without the middle ball. We started walking. I looked back twice, it was there both times, the same distance from which we had left it, steadily following behind us. At the end of the woods, where we met the road we both turned. It stayed in the thicket where the trees began. It hovered. We went home. The next day I was in the kitchen prepping for lunch. I walked some silverware to the dishpit, in a separate room, and the cooks were behind the line away from the open area of the kitchen and sink. With no one even remotely nearby, a dish flew from the sink area and shattered on the floor across the way. We all just froze and looked. Sure, maybe there’s a logical explanation, but no one felt like talking, felt like stating the seemingly true. But then, I’ve been wrong before. There is certainly an odd energy on this tall rock out in the sea, though. You can almost reach out and touch it. Crickets and frogs and wind and ocean and cliffs and rustles and breezes and birds. It’s never truly silent. Like the island is its own music.